JYSK is having their Annual Textiles Days, and they’re offering 20 – 60% off all textiles! So that means you’ll find savings on rugs, curtains, pillows, throws, tablecloths and more! Shop the textiles online at JYSK here. Plus they have great deals on furniture, gardening items, home decor, and so much more. Sales end April 3, 2019. With a rough winter almost behind us, it’s time to start thinking fresh for the new season. Spring brings a new start to life with blooming flowers and the return of animals. It’s the start of warmer weather and longer days too! This is why a lot of people take part in the tradition of spring cleaning. After the holidays and being stuck in the house due to harsh winter weather, things can get a bit disorderly around the house. Getting your place organized and in tip top shape might sound overwhelming, but companies like JYSK Canada help make it easier. At JYSK, you can find affordable products for all your household needs. Don’t worry about skimping; while affordable, JYSK also offers superior quality with a modern Scandinavian look. How does a furniture store help with your spring cleaning? 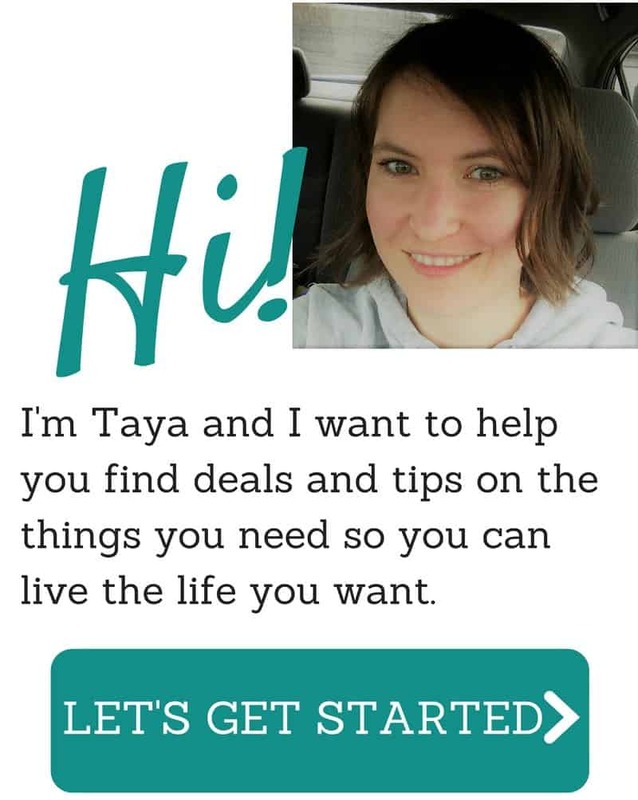 JYSK offers way more than just amazing furniture. With a huge selection of storage products, you can find whatever you need to get your house in order. One product that is essential to organizing is the plastic container. These containers stack easily for more storage room and come clear for a quick view on what’s inside. JYSK’s Plastic Storage Collection offers a variety of sizes to choose from; along with plastic shelving to store them away. Of course, if you’re looking for easy storage that’s also easy on the eyes, JYSK also offers a variety of storage boxes and baskets. These options blend in with any décor and give quick access to things you need close, but out of the way. 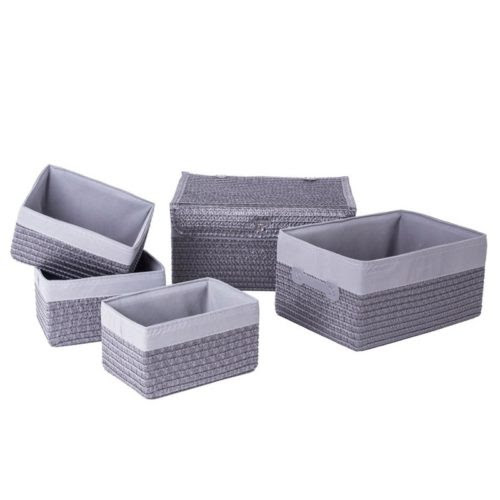 The FRANS Grey Storage Basket Set offers 5 different sizes for practical and stylish storage. If most of the clutter ends up in your entryway, JYSK has space-saving and multi-use products that can solve this problem. The AULUM Hall Bench with Storage is made from solid pine and comes in a sleek minimalist design. Come inside, take of your shoes comfortably and use its under-the-seat storage for miscellaneous items. 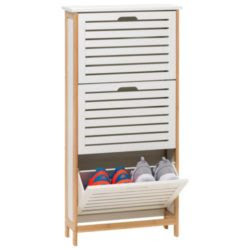 Then, invest in the FYN 3 Door Shoe Cabinet to place your go-to shoes and slippers in, so they’re out the of way. Another key tip for your spring cleaning is to go through your make-up drawer and discard anything that’s old or you don’t use. Yup, make-up expires, so make sure you’re tossing out-of-date products for better hygiene. 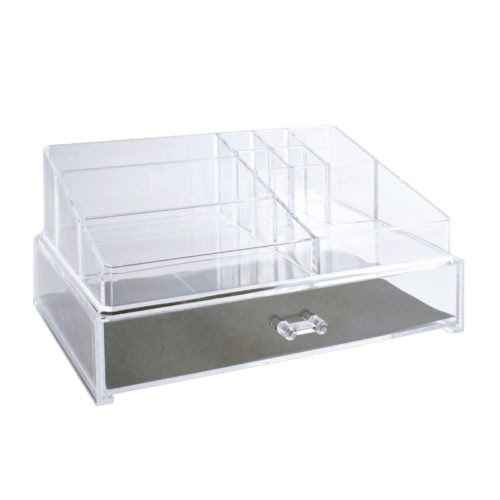 Once you have your collection cleaned up, the GARPEN Cosmetics Organizer will keep your make-up organized with multiple compartments. Don’t forget your jewelry either! The MILANIA Tall Standing Jewelry Cabinet is not only a fabulous way to store your jewelry, but it’s also a full-length mirror – perfect for a place where seeing your whole outfit is a struggle. Also available are garment racks, trunks, and more. So, head on over to JYSK Canada and browse their entire storage collection and start spring off right! Want to cozy up your bed without purchasing and entirely new mattress set? Check out the queen size Sleep Essential topper that is 50% off! Get it for only $94.99. (re. $189.99). Shop online at JYSK Canada here. Sale ends March 20, 2019. Are you wanting to freshen up your windows? Check out the window wvent that is happening now at JYSK! Save up to 60% off on curtains, blackout curtains, rod kits and more! Sale ends March 6, 2019. JYSK Bathroom Event: Up to 50% off! Shop online at JYSK here. Sale ends February 27, 2019.